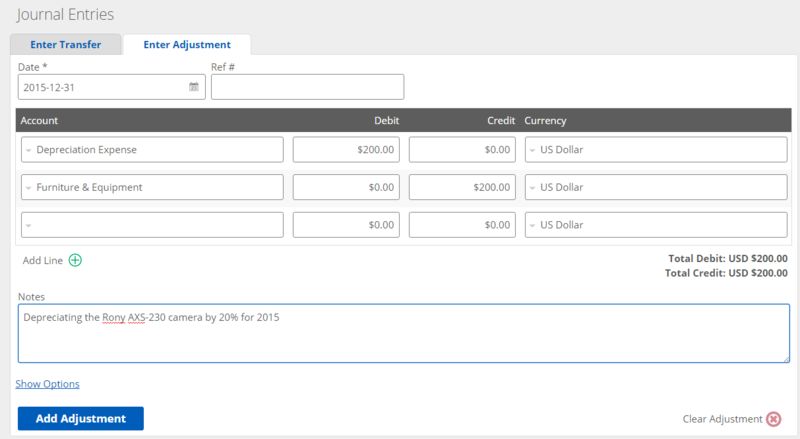 Learn about how to deal with fixed assets in Kashoo. An accounting term that describes tangible property used in the operation of a business such as buildings, machinery, fixtures, furniture and equipment. It does not include items normally consumed in the course of business operation or production. A primary example of a fixed asset is your computer. It is not something that you can deduct as an expense but rather, you can amortize it’s value over time. Another example of this is your car. We all know that new cars depreciate in value quickly, when you buy a car for $20,000, the next year the car may only be worth $17,000 (depending on the make and model of your car that is). In this case, we can write off a depreciation of $3000 in the first year instead of a $20,000 for buying a car. If we could expense new cars in full, many businesses may consider buying new cars every year! Let's use a case study where we buy a camera for business use. According to the tax rules of our region, we're allowed to deduct a $200 depreciation cost on the camera when taxes are filed at the end of the year. Note: Please refer to your local tax laws for the rules regarding depreciation and amortization of fixed assets. The example below is just that, an example. Let's say we purchased the camera from PKL Business Solutions Inc for $1,000 on January 1, 2015 using our bank account. 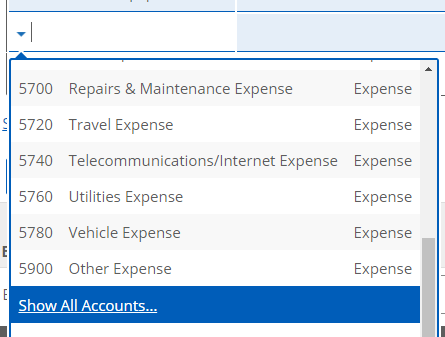 Go to the Expense page. Enter in the Date, Supplier, Paid From. For the Category choose the Furniture & Equipment Fixed Asset account (if you don't see the account, click on Show All Accounts). Enter in a Description and Price and then click on Add. At the end of our fiscal year (December 31, 2015), we enter the depreciation amount as an Adjustment. For example, if the camera has a depreciation rate of 20% per year, we'd need to depreciate $200. 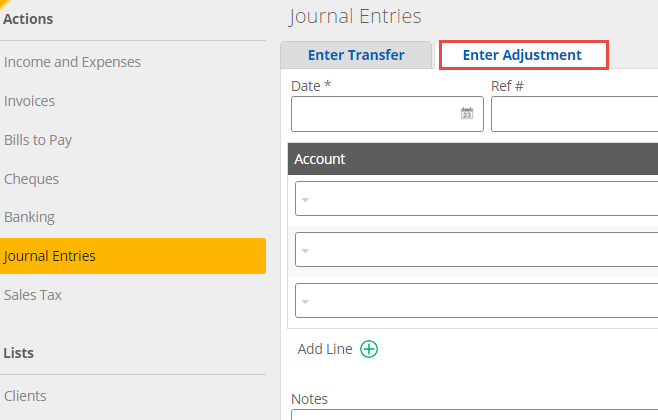 To do this, we'd go to the Journal entry page and Enter Adjustment. We'd credit the Furniture & Equipment account by $200 and debit the Depreciation Expense account by $200. This will transfer $200 from the Furniture & Equipment to the Depreciation Expense account.